Melinda’s Life of Terror: Monday afternoon I met with a woman at a secret location where, if she was found by her husband, he would think she was working. This was her life, terrified to talk to anyone, terrified he would ruin another good job, terrified he would demean her in front of her co-workers, family or business acquaintances. She said for me to wait to talk, she said “I have to have my husband hear our conversation so he knows I with a woman and not a man.” She dialed the phone and she led a conversation about business. I did my best to follow along with her lead. She shut off the phone and explained that he has to hear the conversation for the first 5 minutes and then she can hang up and do business. 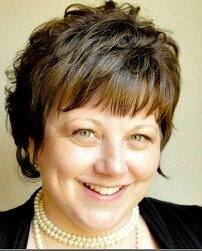 This was her life, having to secretly call her husband so he could hear the business prospects voice. Every day she woke up not knowing what kind of mood he would be in. She spent the last 18 years walking on tippy-toes hoping she was doing everything right so he wouldn’t explode on her. Marital abuse is not an easy thing to get out of. In Melinda’s situation she has 4 children and 18 years of ties to this man. And on top of that, abusive husbands don’t let go of their families easily, they will do whatever it takes to keep them under their control. For Melinda, her husband has threatened her with guns and knives and threatens her that she won’t get the kids if she leaves. Unfortunately for Melinda his threats have not been idle threats, he has a history of gun use and knife use and when he says something he does follow through. So for Melinda, leaving doesn’t seem possible. Abused wives who are in this type of situation may feel they are in a hopeless situation but they are not. They can begin doing things to prepare to leave their abusive husbands and out of their marital abuse nightmare. Need Help wth Escaping Economic Abuse? This can help. If you need help with starting over please see our free books on starting your own home business. 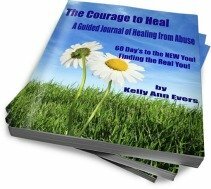 Want to start healing from abuse? Get the book for free.